In Article VI of the Constitution of the United States, the framers declared, "This Constitution... to be the supreme Law of the Land." Constitutional authority, Laurence Tribe, notes in his book, American Constitutional Law, that "the Constitution is an endlessly intriguing object of study, and represents the best effort of its kind in the history of the world." 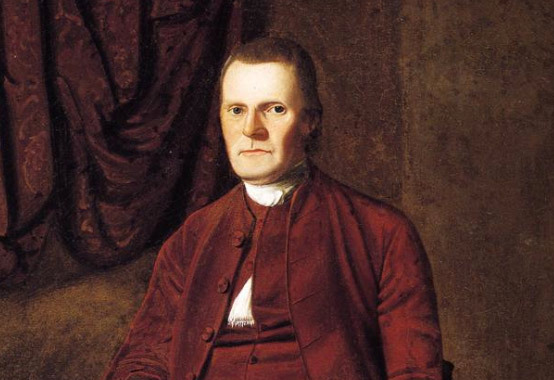 Among the men who created the Constitution in Philadelphia during the summer of 1787, Roger Sherman, a Superior Court Judge, is remembered as the architect of the Connecticut Compromise. When the Constitutional Convention became deadlocked over the matter of legislative voting, Sherman proposed a system similar to one he had advocated previously as a delegate to the Continental Congress in 1776. The compromise provided for representation in the House of Representatives according to population and in the Senate by equal numbers for each state. Sherman's compromise was adopted on July 16, 1787 by a vote of five states to four, and served not only to save the crumbling convention, but provided stimulus to resolve other issues yet to be decided. Following ratification of the Constitution, Sherman served first in the House of Representatives and then in the Senate. He died while still a Senator in 1793, and is buried in the Grove Street Cemetery in New Haven, Connecticut. Sherman was the only person to sign all four documents of the American Revolution: the Continental Association of 1774, the Declaration of Independence, the Articles of Confederation and the Constitution of the United States. For additional reading on the topic see: 61 Conn. Bar Journal 182.